Quick. Stop what you are doing and look around. Everything you see, think and feel is fake. You are living in a video game coded by intellectually elite robot overlords. Do not laugh. It is entirely possible, so says billionaire futurist Elon Musk. According to Musk, rapid advancements in video game technology mean we have moved from Pong to augmented reality in a short span of decades. We have moved so quickly, and tech has advanced so much, our own reality might not be distinguishable from a simulation. He said, "If you assume any rate of improvement at all, then games will become indistinguishable from reality.” Given that rate, he says, the chance we are not living a simulation is actually quite small. Since Plato first floated the theory in Republic, for millennia, many a physicist and philosopher has wondered if the universe is only one big simulation. And it is not necessarily a terrifying future. Says Musk, such simulations are necessary for society to continue to evolve and exist. Just do not bring it up if you are ever in a hot tub with him. “Yeah, because that really kills the magic,” he joked from the conference stage in Rancho Palos Verdes, Calif. “It’s not the sexiest conversation.” Neither is the shooting the breeze about artificially intelligent robots rising up and wiping us out. Just saying. Hey, you never know. We really might be living in a simulated realm. After all, Harvard’s Odyssey supercomputer can whip up 14 billion simulated years of cosmic evolution in only three short months, everything is math and, therefore, can be broken down into binary code and it is possible that God is a brilliant programmer. You do the math. Or not. Stop your brain from hurting and zone out on the clip below instead, like we did. 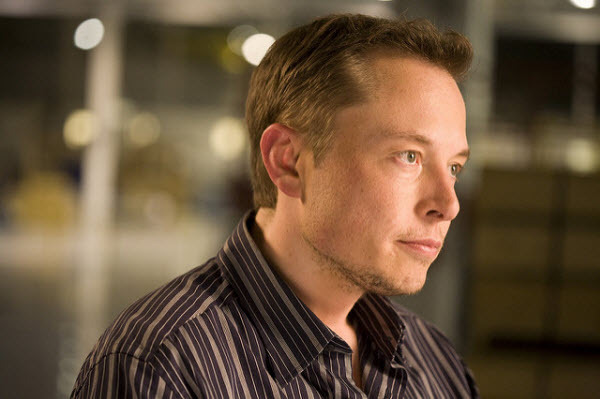 It features last night’s almost four-minute philosophical chinwag between Musk and Topolsky. The simulation puppet masters command you to watch it and you shall obey.